Run your fingertips over the salmon to feel for any bones. 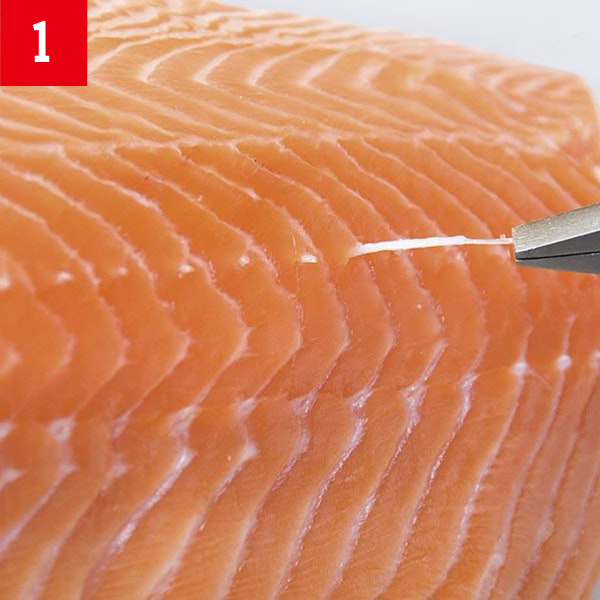 Use needle-nose pliers to grab the ends of any tiny pin bones and pull them out. 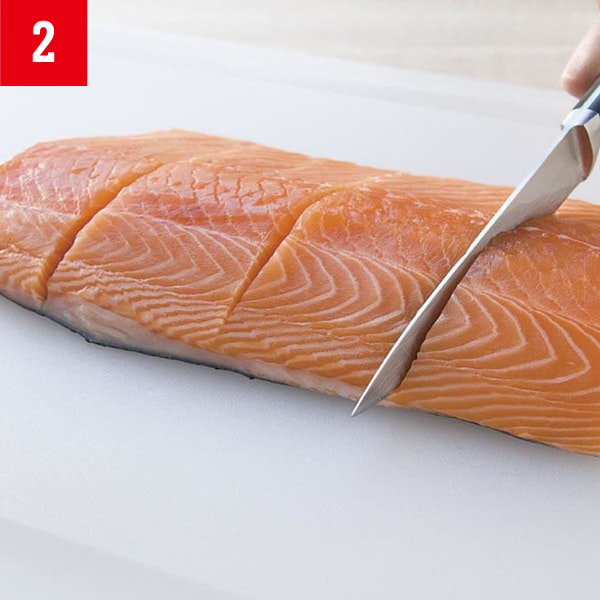 Cut the raw fish into individual portions, right down to the skin but not through it, to make it easier to serve later. 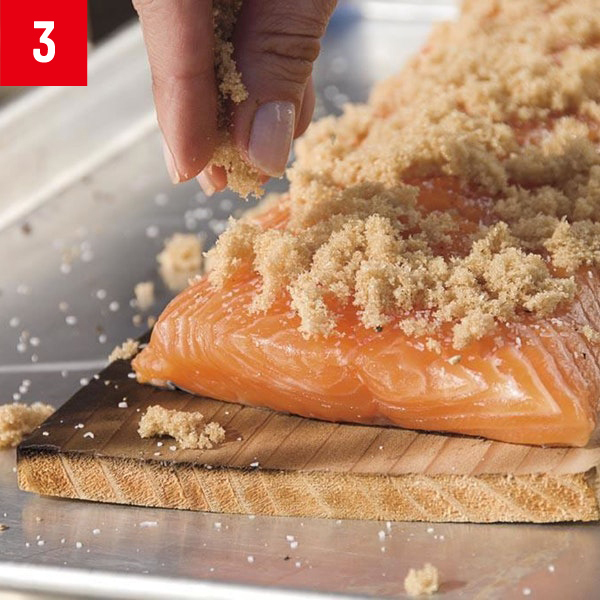 Lay the salmon on a lightly charred, smoldering plank and sprinkle brown sugar over the top. 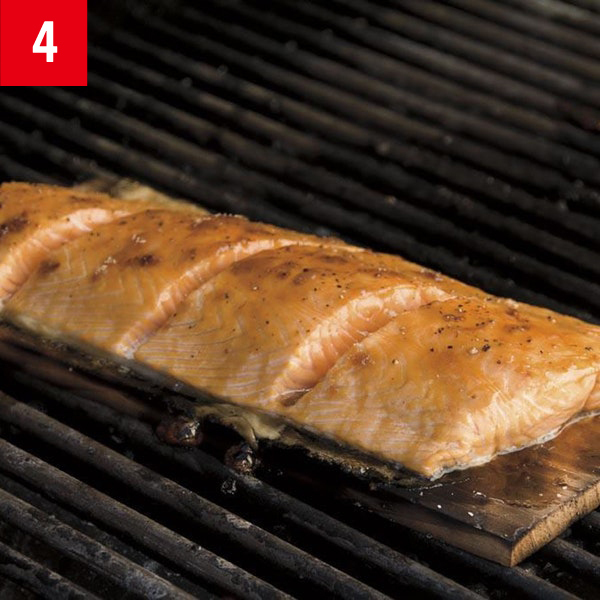 Grill the salmon on the plank over direct medium heat, with the lid closed, until lightly browned on the surface and cooked to your desired doneness. 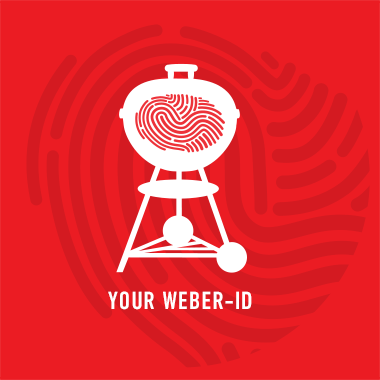 The sugar will melt and caramelize on the surface while the cedar smoke permeates the flesh.